Gionee Elife S5.1 sets a new Guinness World Record, if you are thinking that iPhone is the world leader in impressing consumers in case of design? Think again. If you are a smartphone geek and only care about the brands like Samsung, Blackberry, LG and still thinking that Apple is the most brilliant in case of design, it’s time for a change. 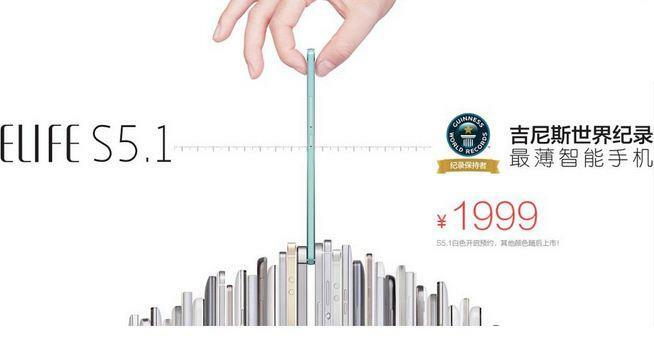 Now, a Chinese manufacturer smashed all the world leaders in smartphone industry and set a new Guinness World Record for being the slimmest smartphone in the world its none other than Gionee Elife S5.1, the latest flagship phone from Gionee. The phone is just 5.1 mm thick which is just a little thicker than Elite S5.5, but it made it to the Guinness world Records to be the slimmest handset in the world. The device comes in a thin 5.1 mm shell comprising both glass and metal. The handset has a 4.8-inch 720p Super AMOLED display with a resolution of 720×1280 pixels (320ppi) and is powered by a 1.2 GHz quad core Qualcomm snapdragon processor coupled with 1GB of RAM. In case of storage, the phone has an ample 16 GB of built-in storage, but there is no option for expanding storage. But in case of OS, you won’t get Android Kitkat out of the box, Gionee has provided Android 4.3 Jellybean instead. The device has 8 MP rear camera with LED flash and 5MP front camera and the best part, LTE connectivity (Indian LTE band support is currently unknown). The phone is powered with a 2,050mAh battery. “We are excited to have made it to the Guinness World Records for the world’s thinnest smartphone category. 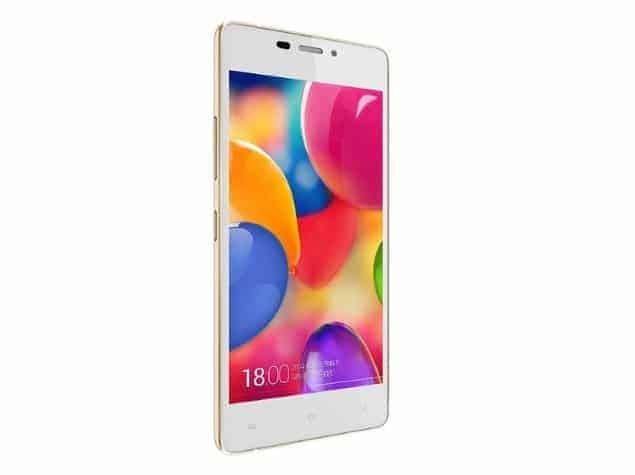 The Gionee Elife S5.1 has been launched in China and will be available in India by early November,” Gionee Smartphones India Head Arvind Vohra told PTI. In case you want to know more about the technical part of this phone, you can check the detailed specifications, which we have added below.